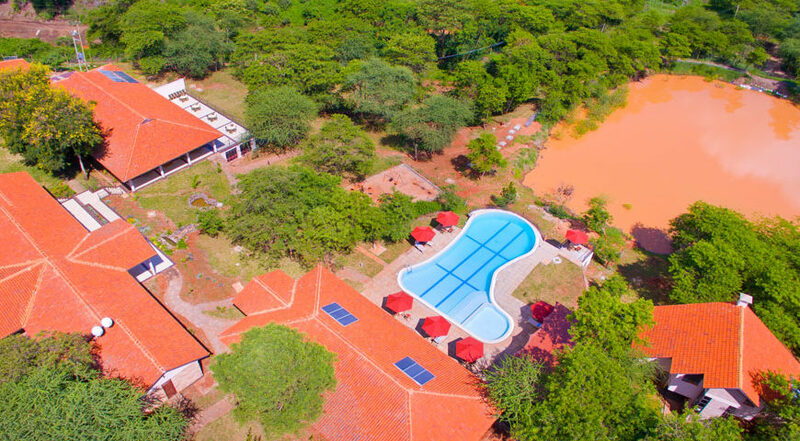 Sagana Getaway Resort Kenya or Sagana Lodge is a resort and conference centre set close to Tana River just off the main Nairobi-Nyeri highway a perfect venue to connect with nature. The Resort is located between two rivers on 93 acres of tranquil wilderness; it is a stepping stone to the Mount Kenya Region. Has beautifully designed cottages to ensure that the experience you get is memorable. It has expansive fields that can be used for various activities not limited to outdoor games, team building or wedding reception. It has an Olympic size swimming pool where our resident guests can relax and enjoy an evening swim. The resort offers 100 en-suite innovatively decorated rooms. It is cottage like concept with well manicured gardens, surrounded by natural acacia trees and a man made dam frontage provides arguably the best scenery amongst all properties in the County. Bathroom facilities – Shower gel, lotion, shampoo, soap & Shower cap. Bathroom facilities – Shower cap, shower gel, lotion, shampoo and soap. Bathroom facilities – Shower cap, shower gel, lotion shampoo & soap. Contact Us for a Free tour Quote on Sagana Getaway Resort Honeymoon Package ! Great Discount Safari Offers.